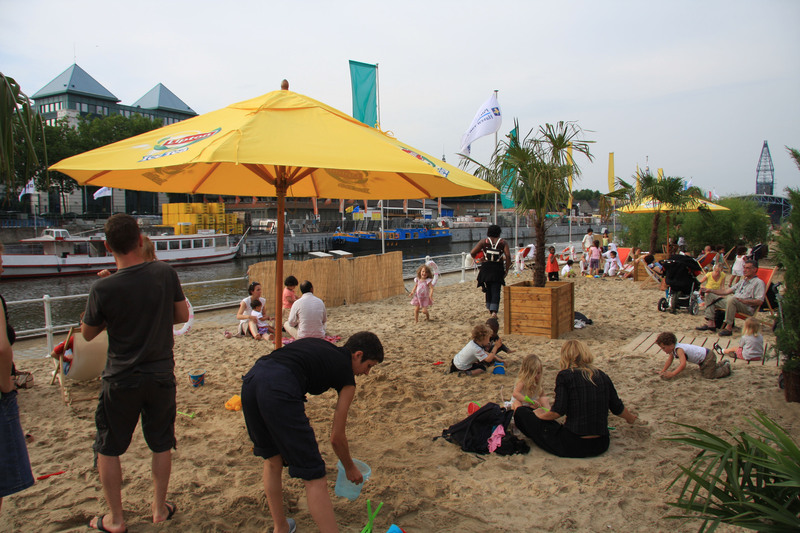 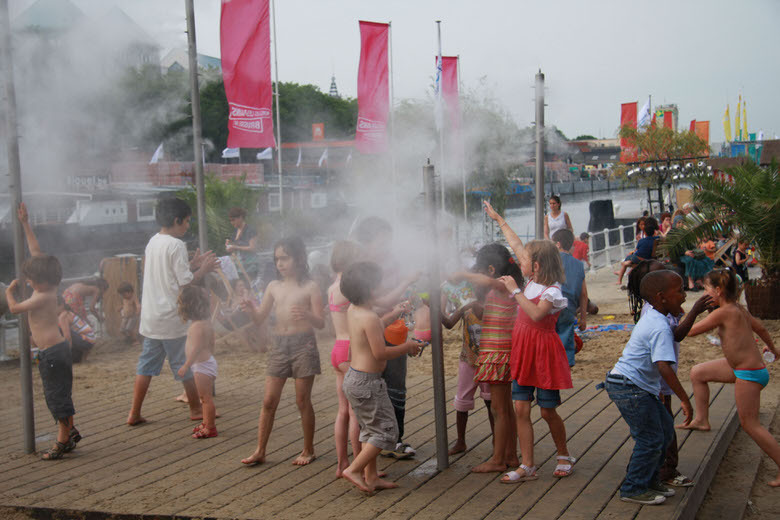 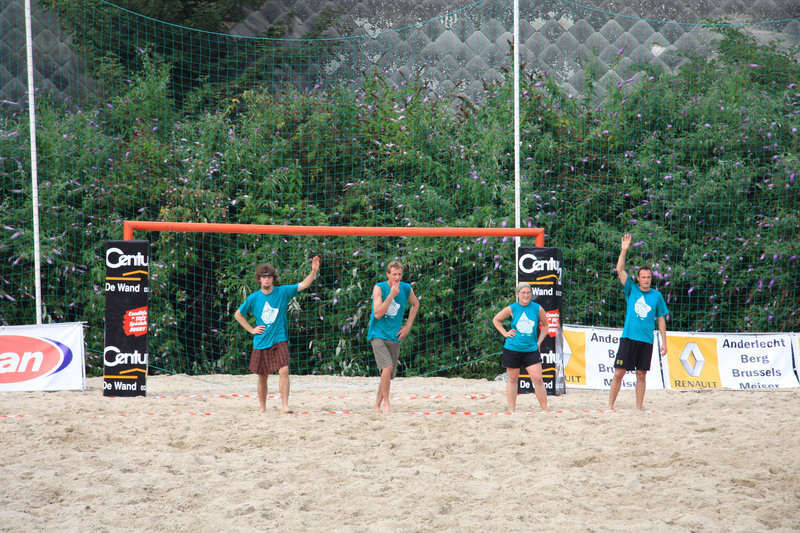 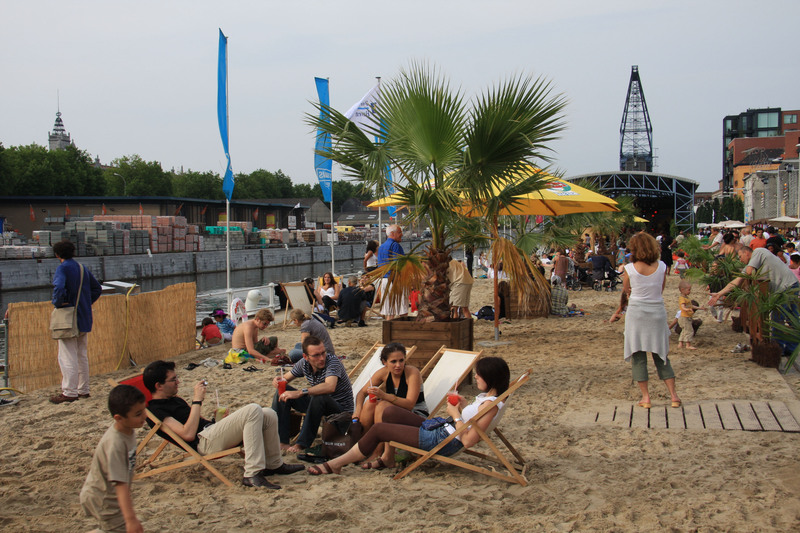 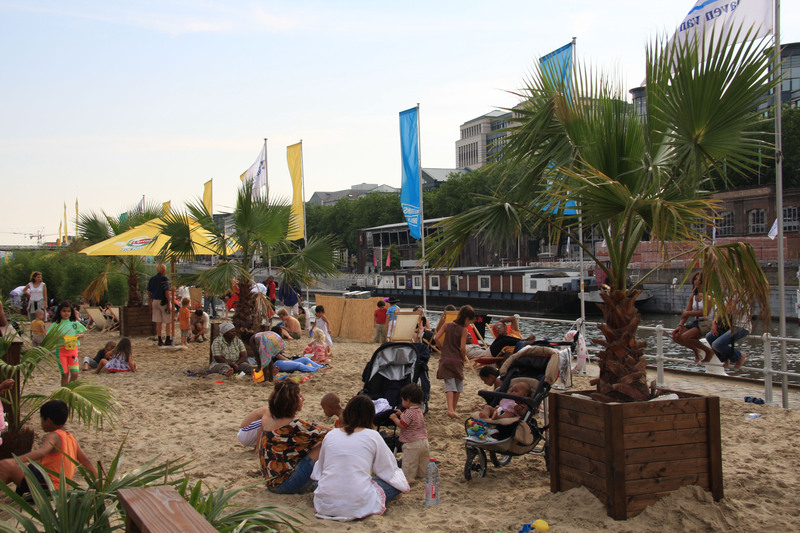 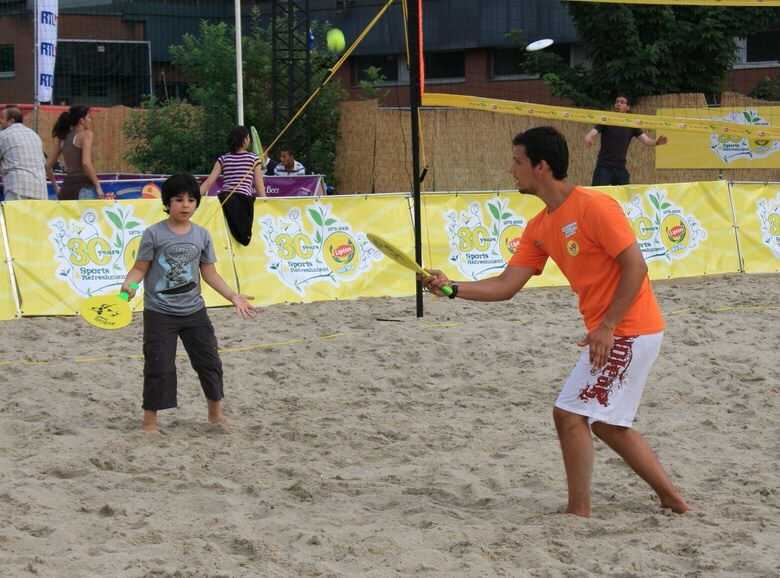 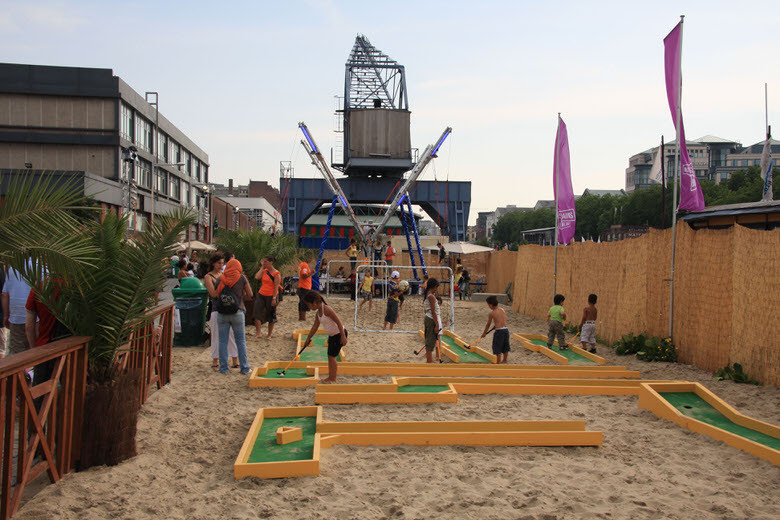 Every summer from mid-July to mid-August a stretch of the canal Willebroek is transformed into to a waterside tropical beach scene with the help of lots of sand and palms trees. 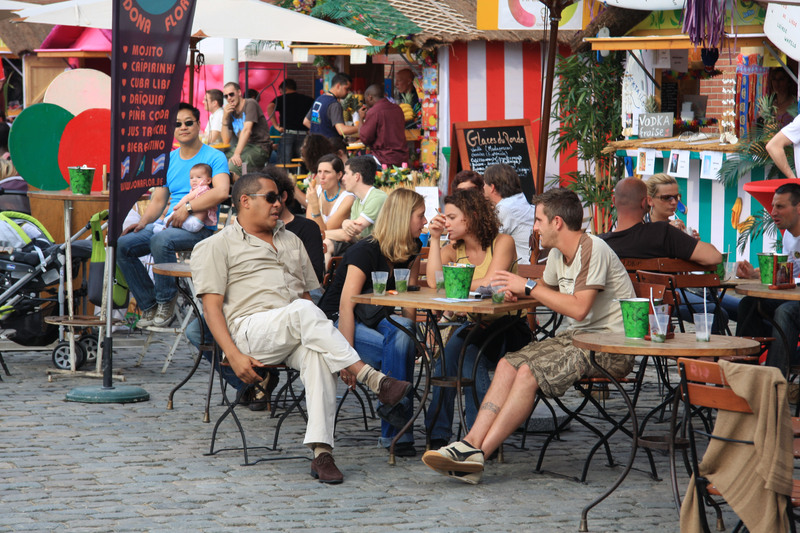 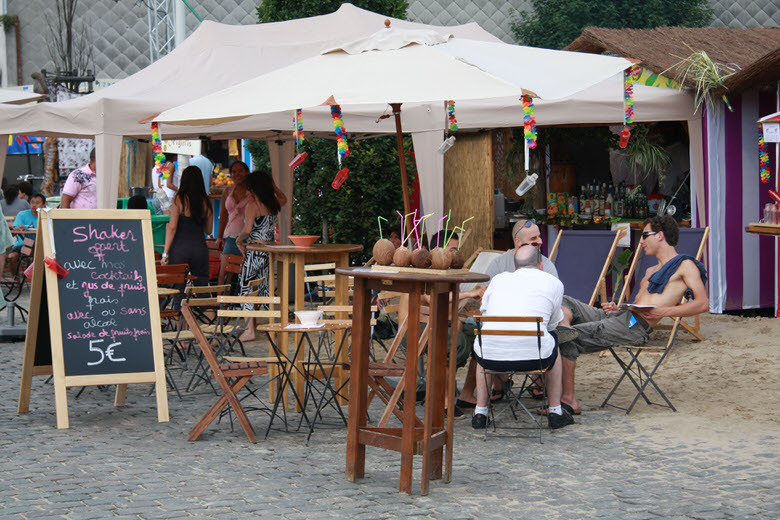 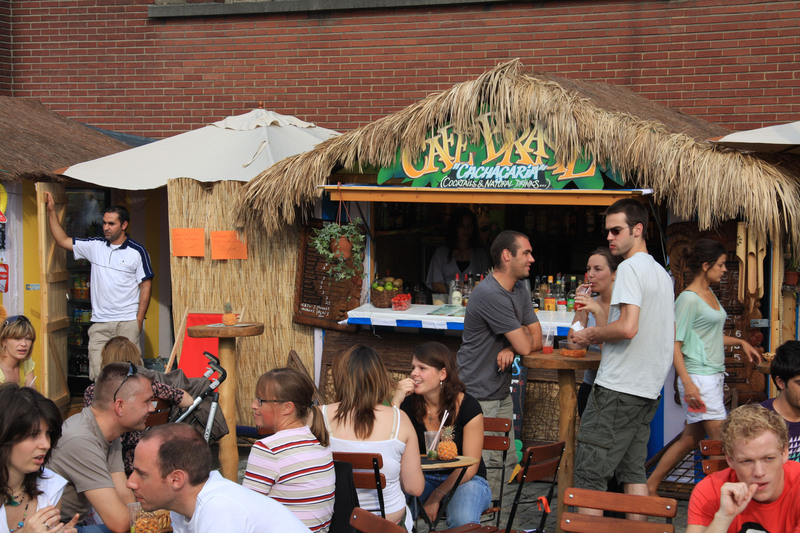 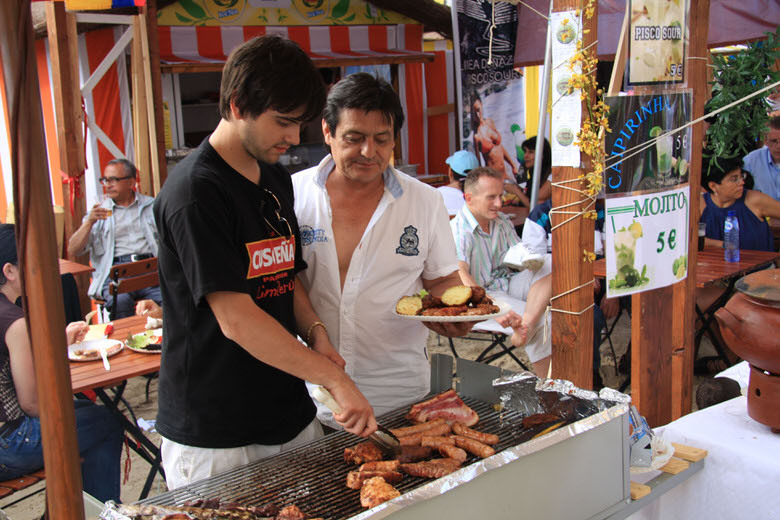 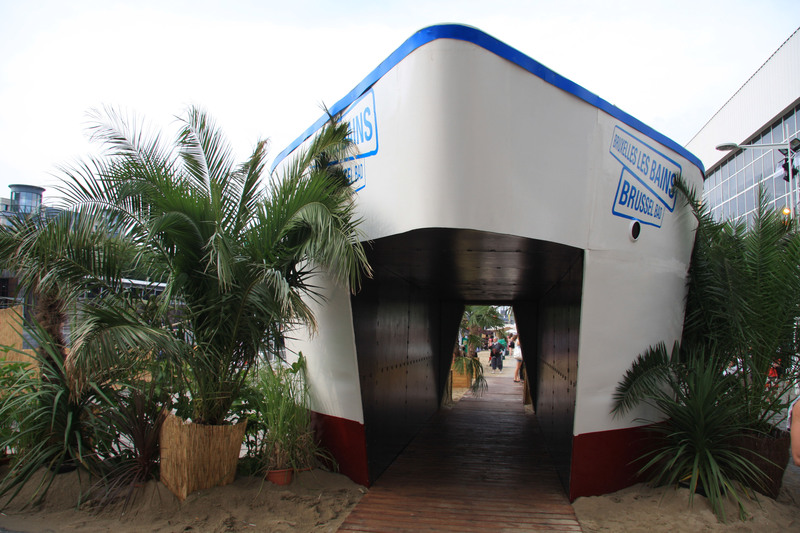 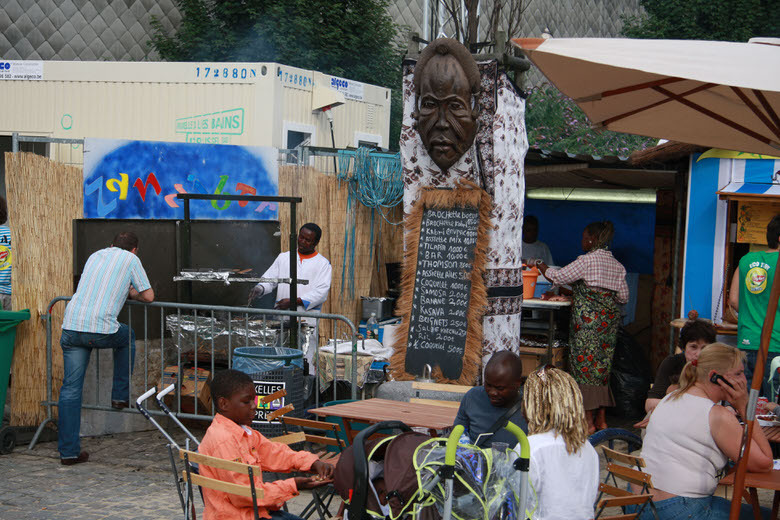 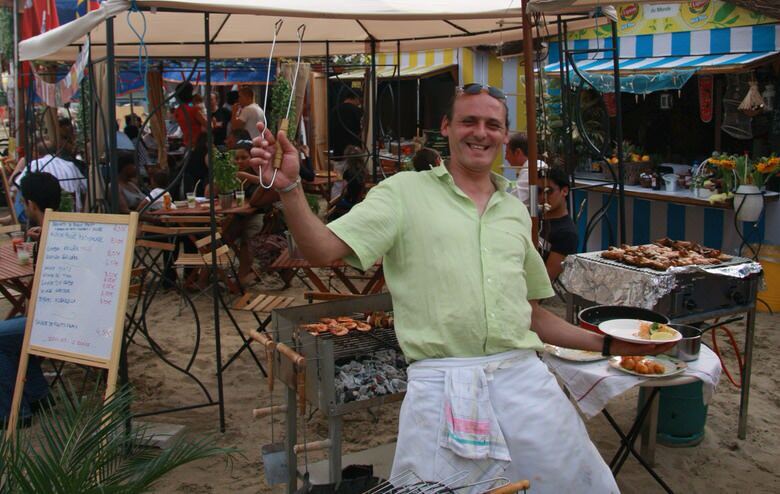 The holiday atmosphere of Bruxelles les Bains is guaranteed with the multitude of small themed bars and restaurants serving specialty foods and drinks from (among other places) Cuba, Brazil, Colombia, Congo, India, Spain, Vietnam and Morocco. 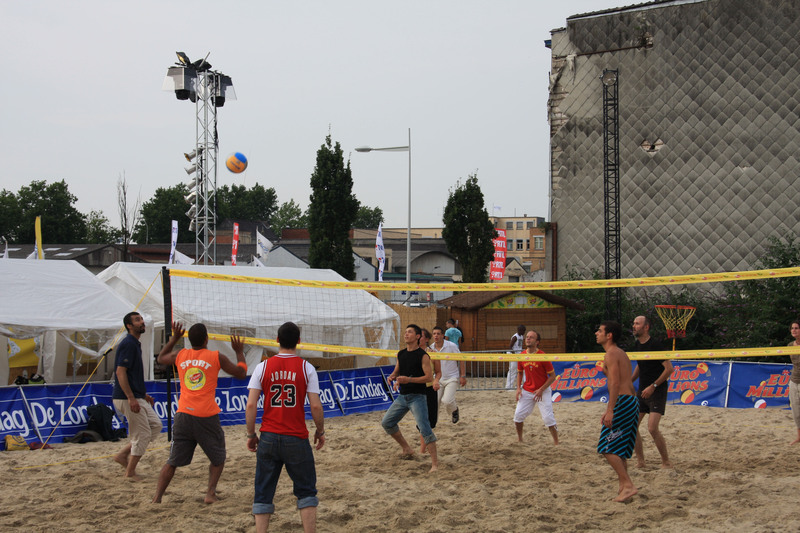 Visitors can attend daily free concerts or play various sports such as: Rugby, Football, Volleyball, Pétanque, climbing, Frisbee,etc. 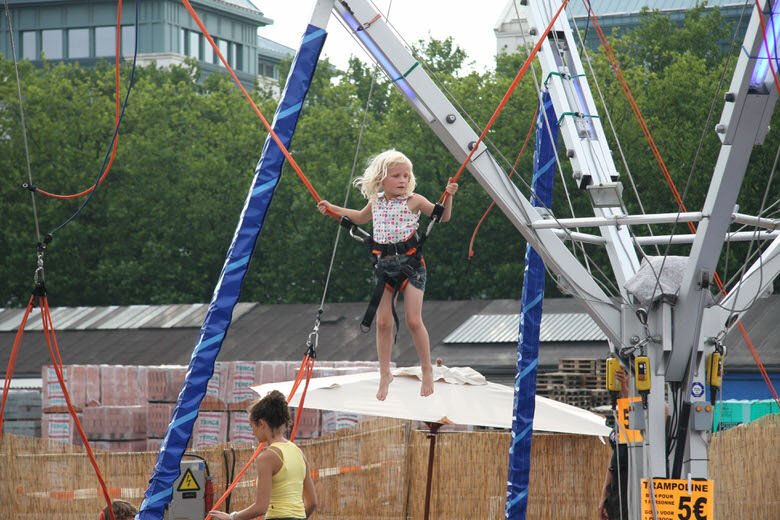 Special attractions for kids are also featured. 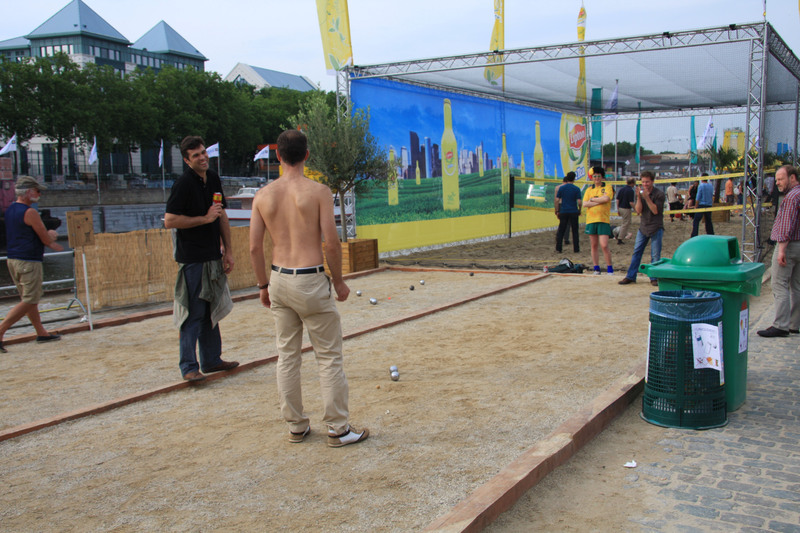 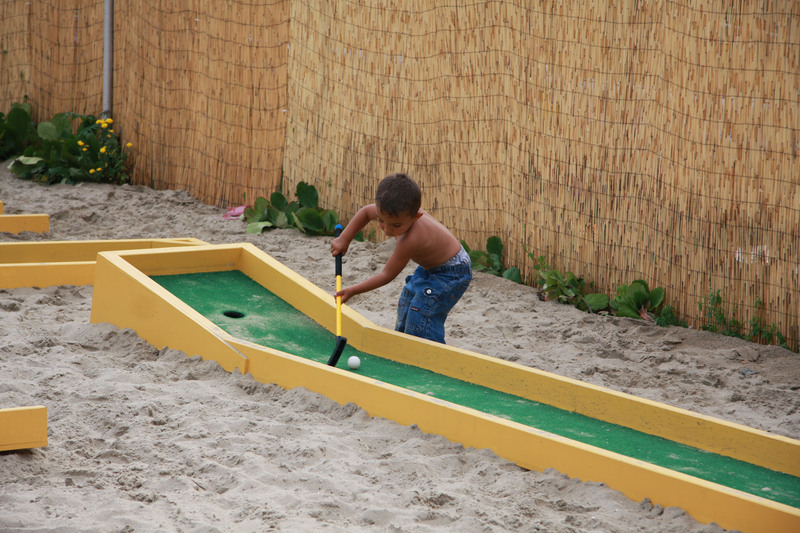 What about a little game of Pétanque? 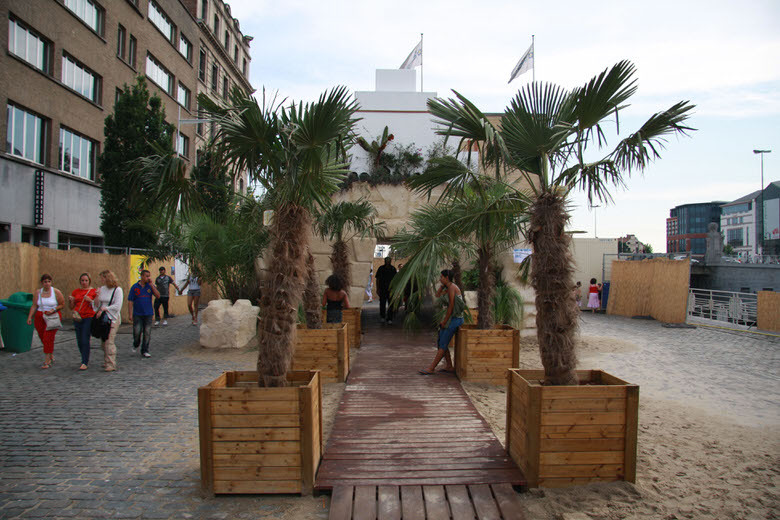 You are currently reading "Bruxelles les Bains"